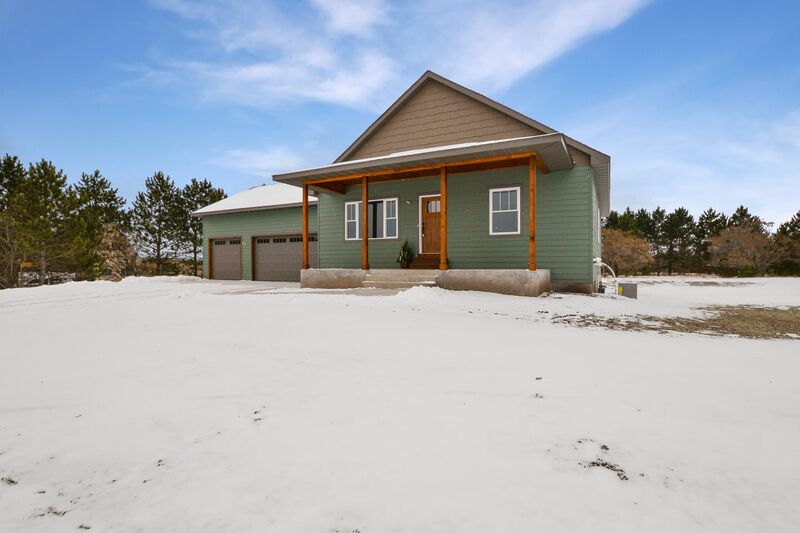 This brand new one level, rambler style home with covered front porch features all living facilities including 3 bedrooms on the main level. 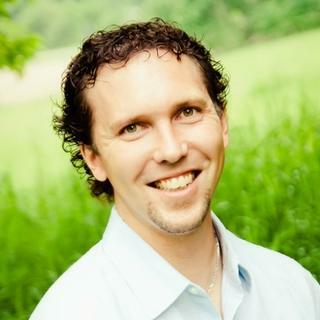 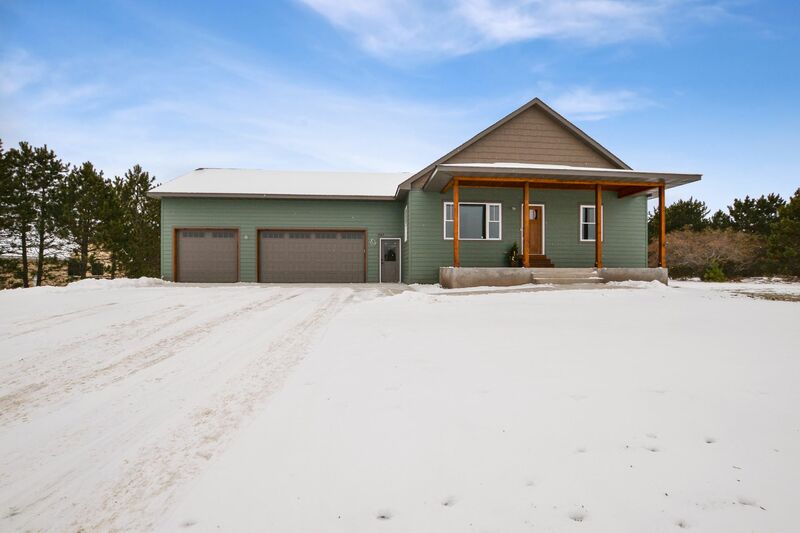 Conveniently located near the Rum River Golf Course & Rum River, on a .85 acre lot in the Covenant Meadows development. 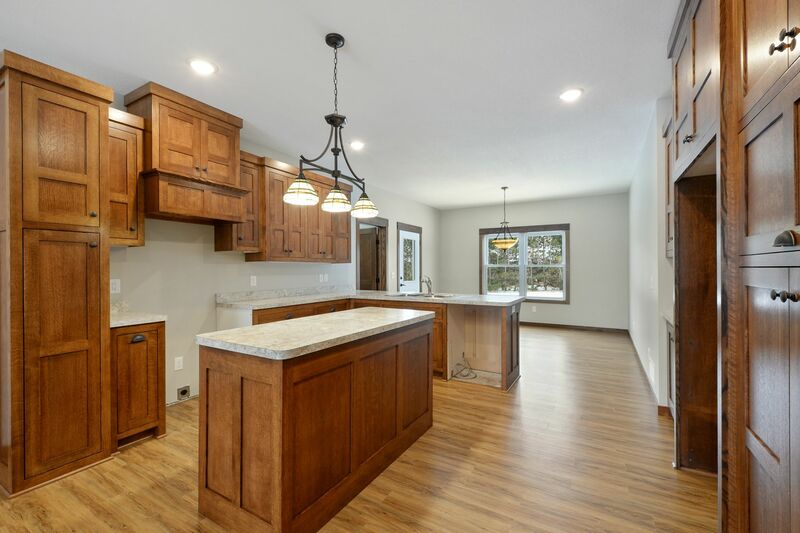 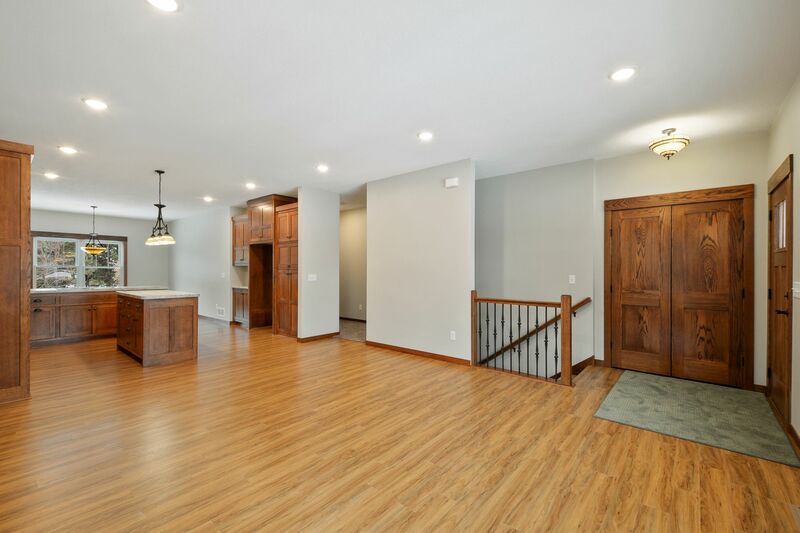 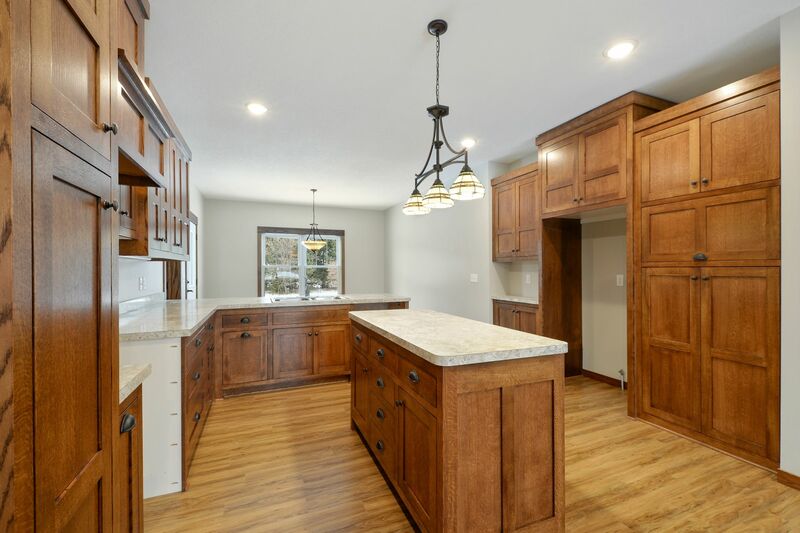 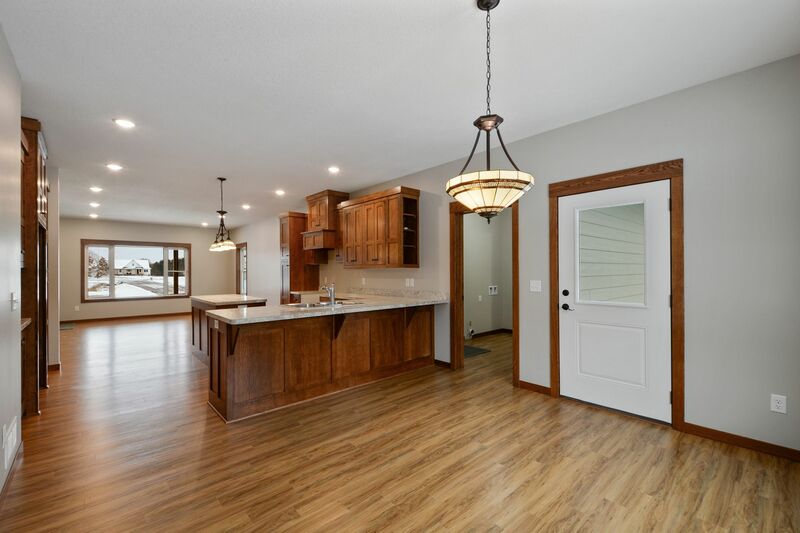 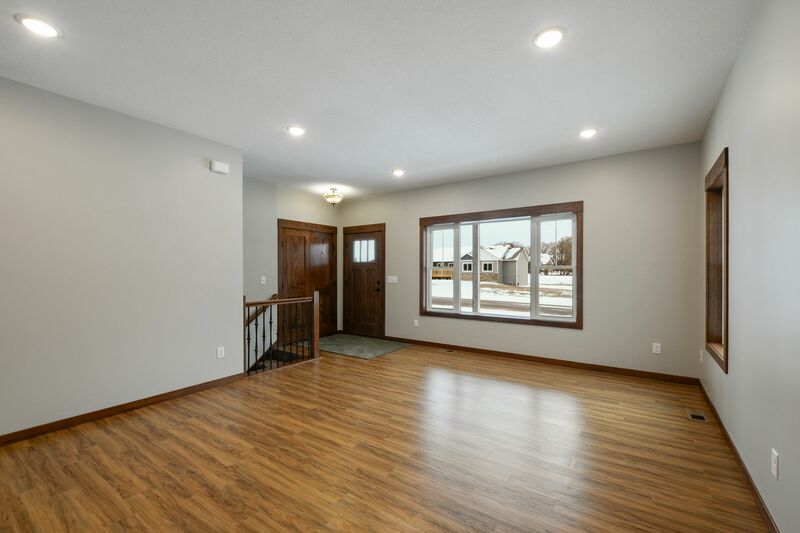 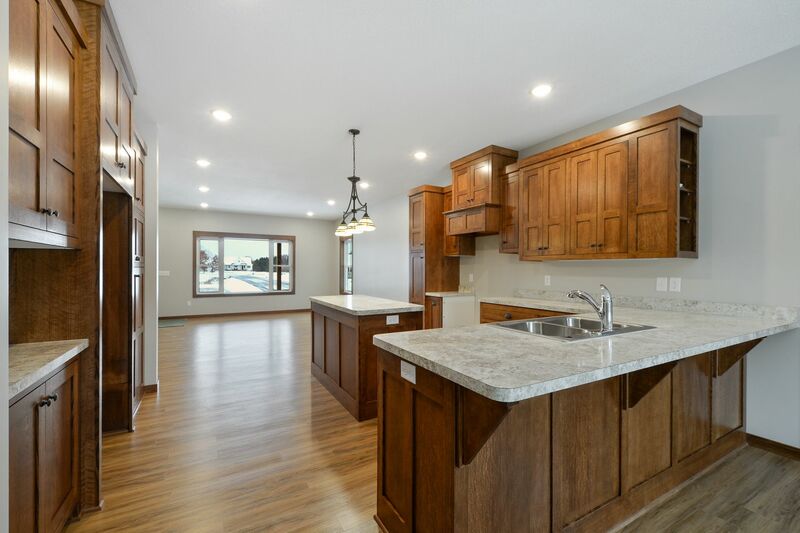 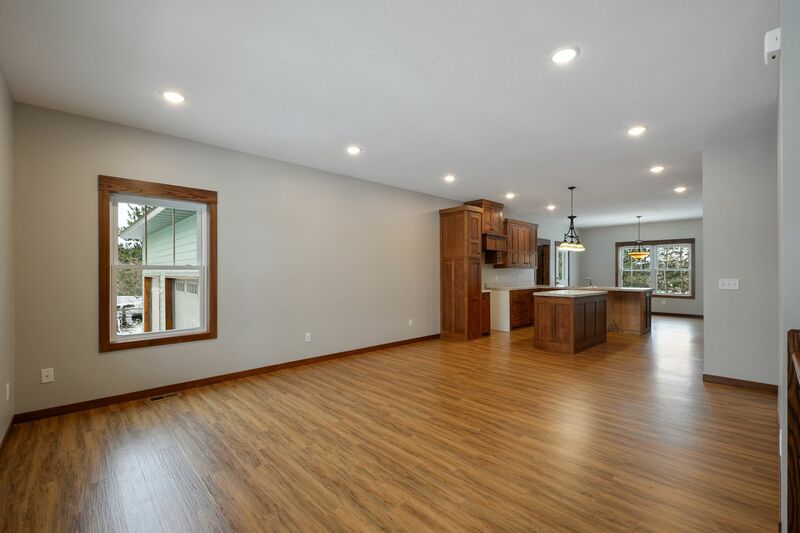 Features of this fine home include; quarter-sawn custom oak kitchen cabinetry, craftsman style millwork with library oak finish, vinyl plank flooring in foyer, living room, kitchen, dining room and main floor laundry. 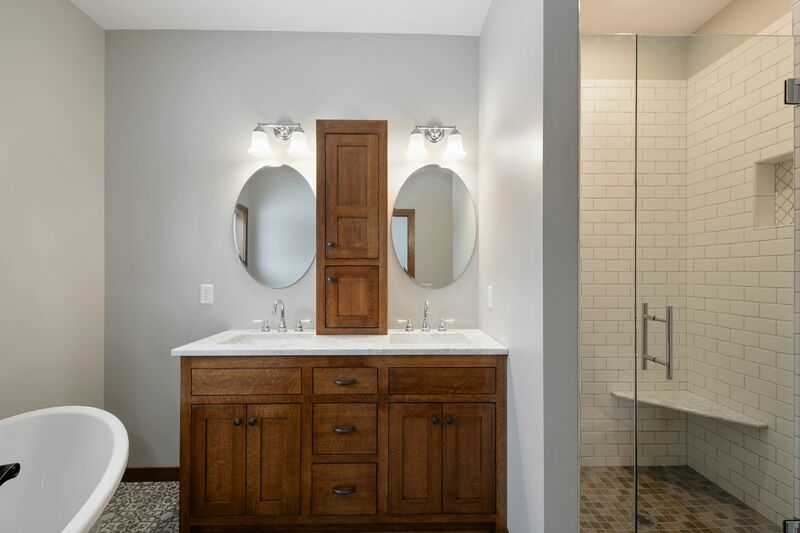 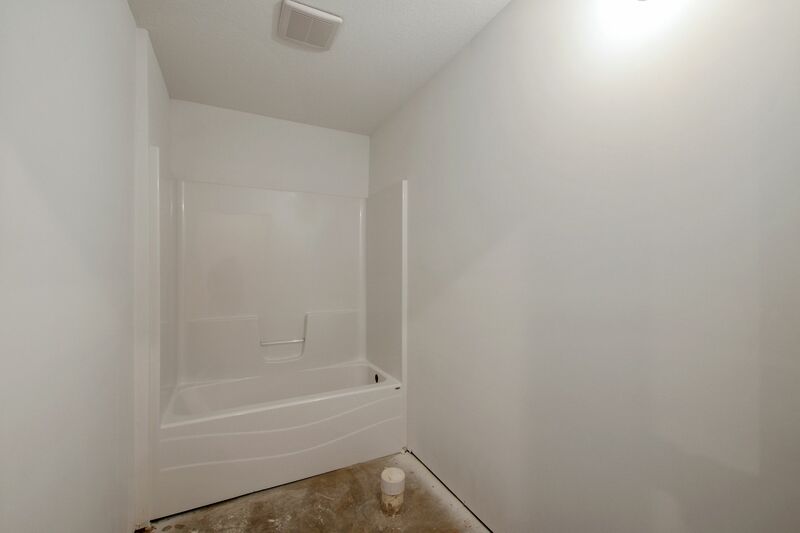 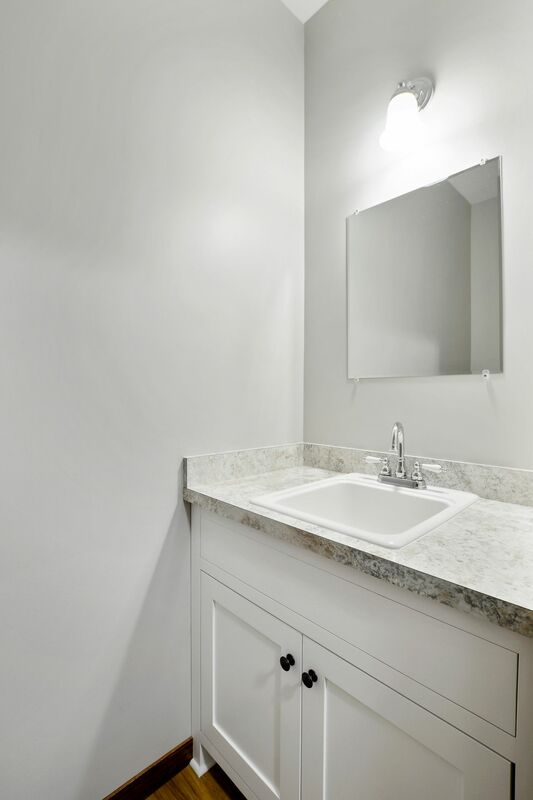 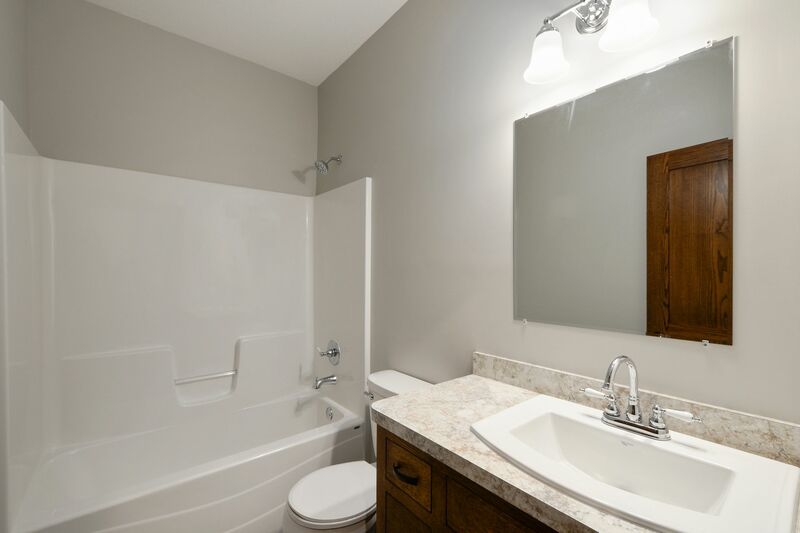 The private master bath includes dual sinks, separate shower and soaking tub. 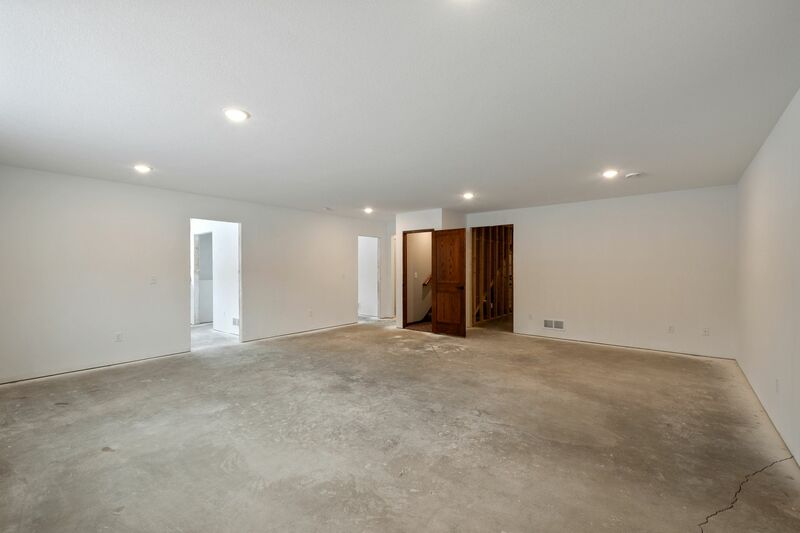 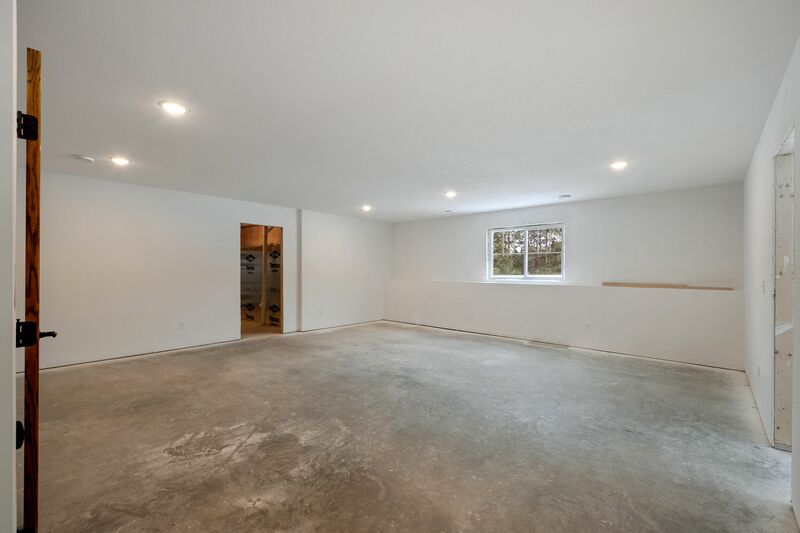 Lower level is 75% finished and ready for carpet & trim and features; 17x15 family room, 4th & 5th bedrooms, 2 storage rooms, full bath and mechanicals. 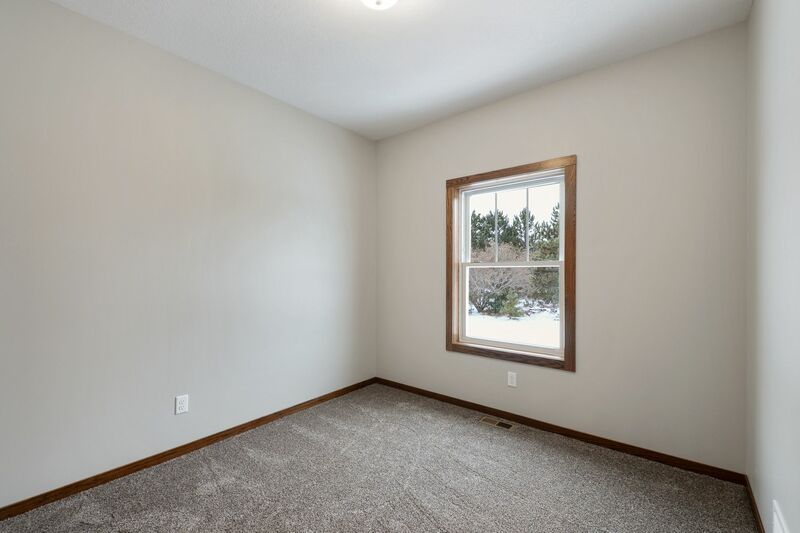 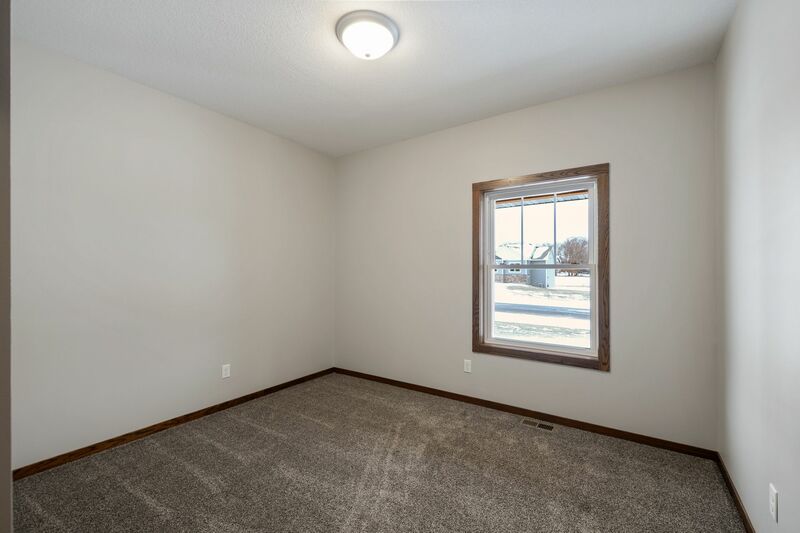 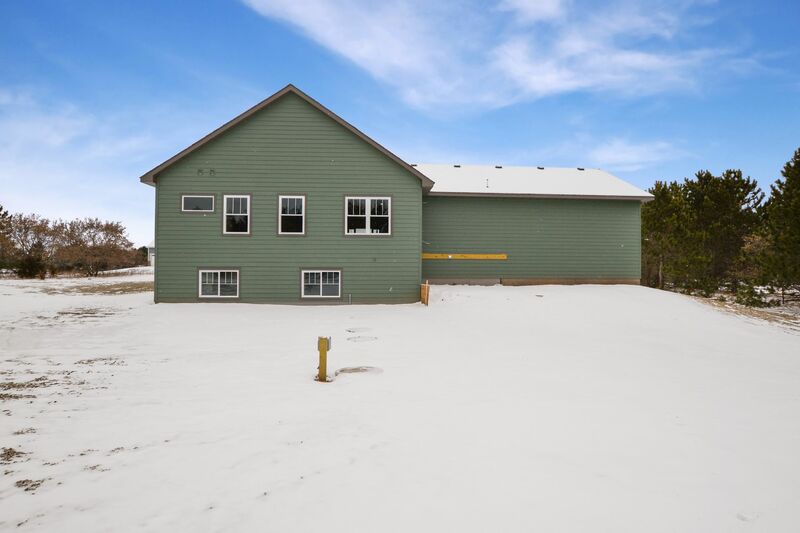 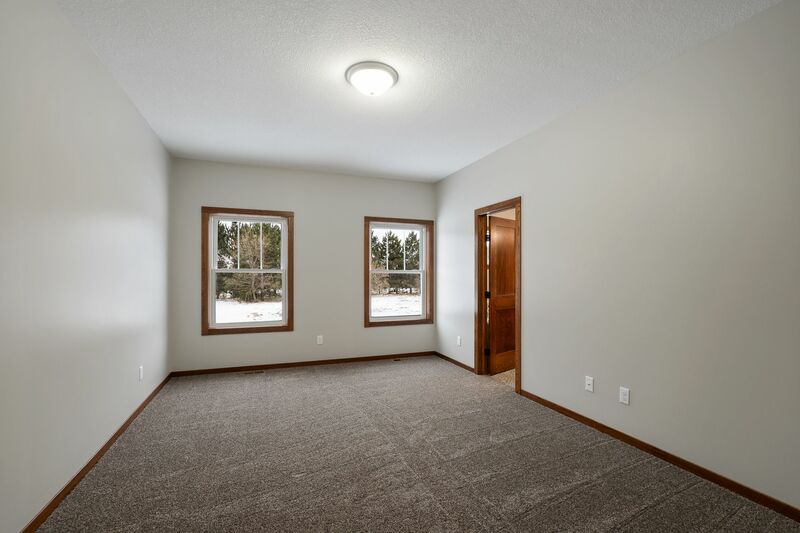 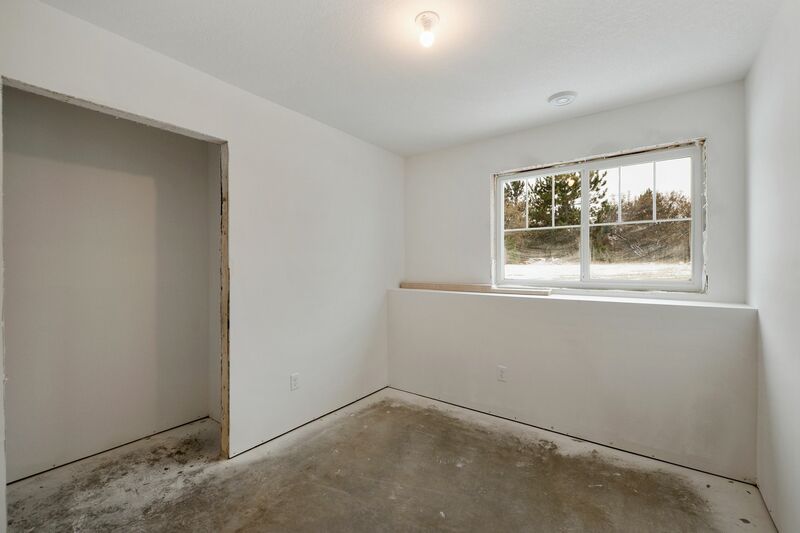 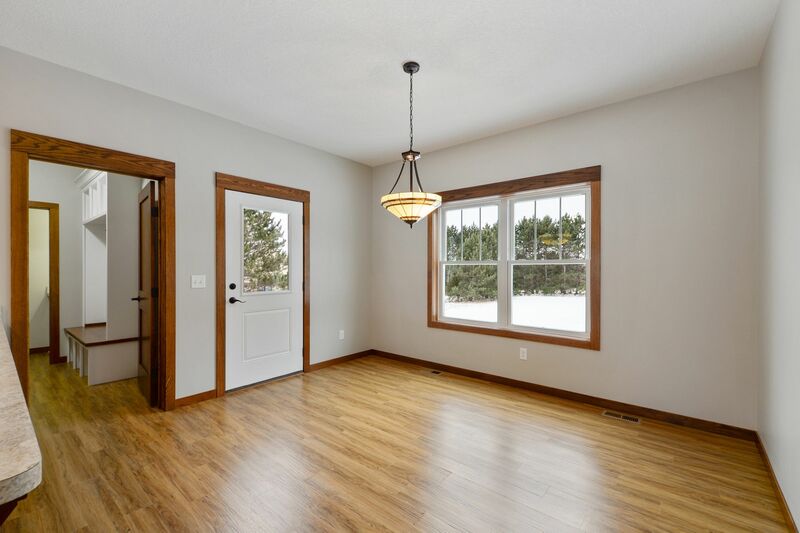 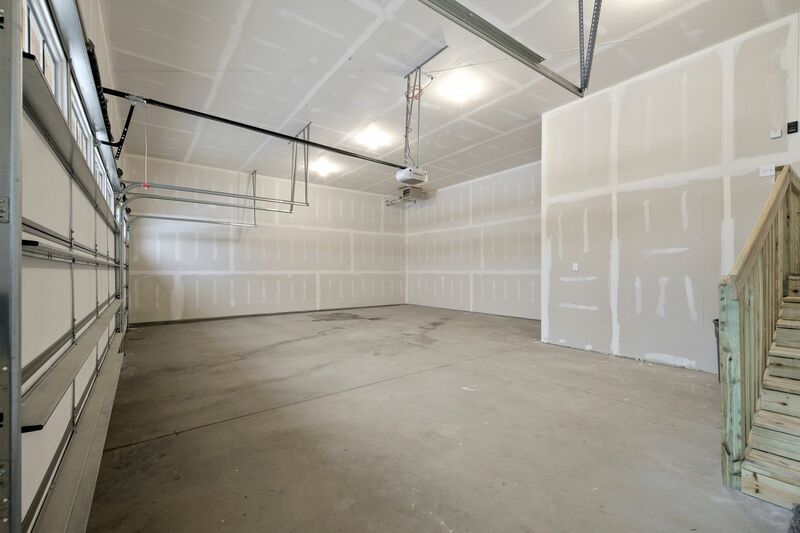 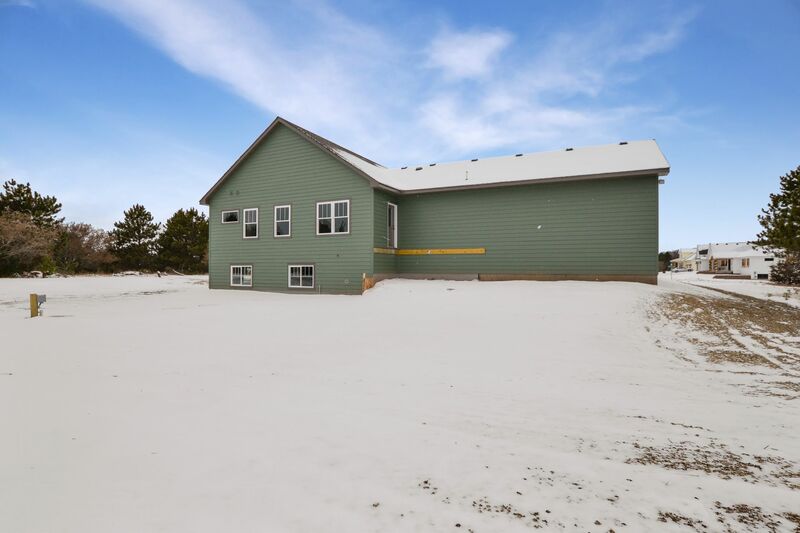 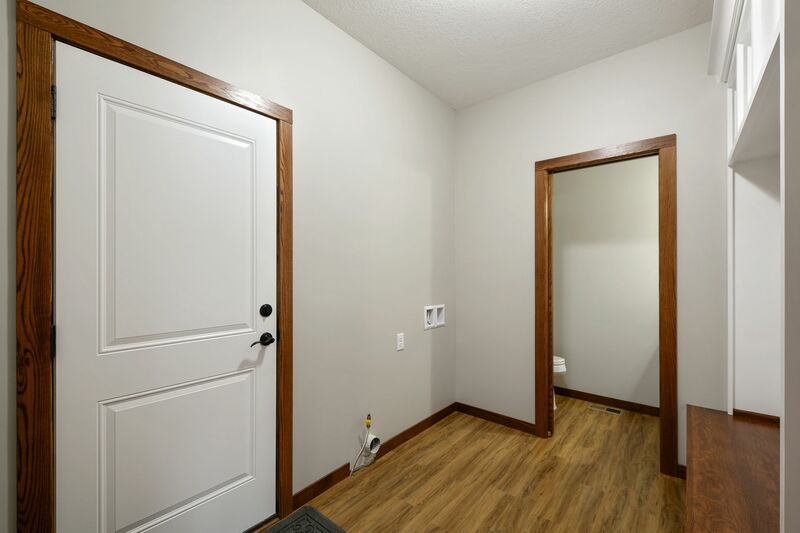 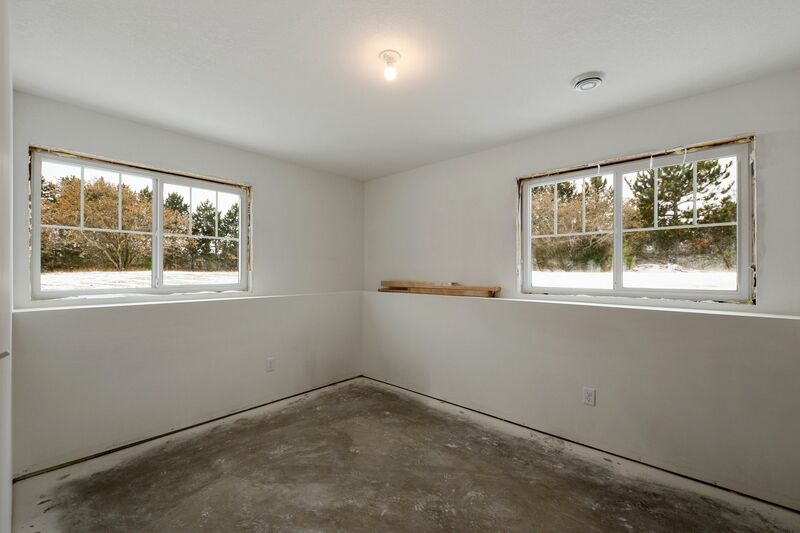 Extras include; full kitchen appliance package, water softener, air to air exchanger, concrete driveway, 904 square foot insulated/heated 3 stall attached garage with 8 foot overhead doors, LP Smart Siding, and hydro-seeded lawn.